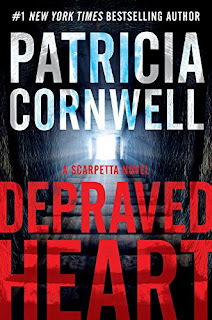 Patricia Cornwell releases the 23rd Kay Scarpetta novel, Depraved Heart, in late October on both sides of the pond. The US cover is on the left and the UK cover is on the right. It looks like a tunnel with a light at the end plays a significant role in the novel. I think I'm going to go with the UK cover this week. I just like their tunnel picture better. The US type is too large for me. Are you planning on reading Depraved Heart? Which cover do you prefer? You Can't Judge A Book By Its Cover is a regular Saturday feature at A Bookworm's World. I can't decide whether or not to read this novel. I really enjoyed the previous one, but the sudden cliffhanger just left a bad taste in my mouth. 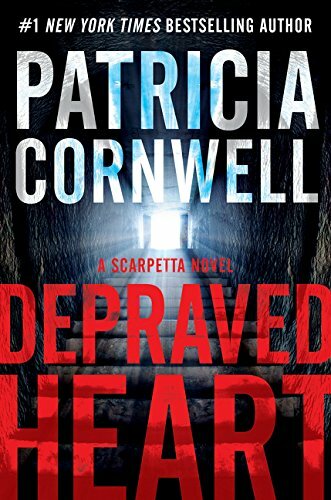 I like the UK cover because it possibly gives you a hint about the story, but the US cover just say Patricia Cornwell to me, I know immediately it's another Kay Scarpetta novel. 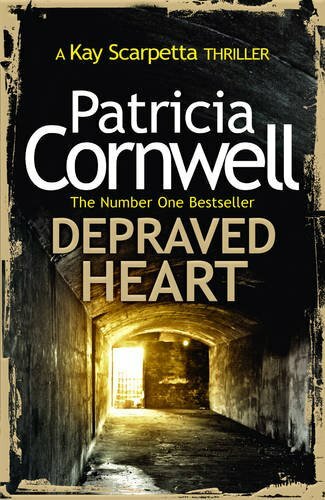 Definitely the UK cover. I wasn't sure why until you mentioned the print size...that is definately a big part of it. Whatever, the one on the right is far more appealing to me, even if this isn't my favorite genre.